The UK’s GAME retail store has halved the rate at which reward points are earned, in an update to its T&Cs. Previously, shoppers received one GAME point for every £0.125 spent, now you have to spend £0.25 to accrue a single point unless there is a special promotion or similar event on. According to MCVUK the change means that you will have to spend £100 to get £1 worth of points deposited on your Reward Card. Previously a spend of £50 would have gained £1 worth of points. With effect from 25/01/2018 we're making a change to clause 10 of the Terms and Conditions that govern the GAME REWARD scheme. At the moment that clause says that REWARD points are calculated at the rate of 1 point for every £0.125 spent. We are changing this so that REWARD points are calculated at the rate of 1 point for every £0.25 spent. For the full Terms and Conditions please click here. Please note that we are not changing the value of points on redemption, so the points you have already will stay at the same value. Explanation of the reason for the change is provided in a statement from the retailer, provided to MCVUK. It says that shoppers will instead earn more points though points based events, campaigns, and specific product promotions throughout the year. So if effect it has just re-jigged its points budget to provide more incentive to timely promotions. It likely thinks that various points promotions will drive better engagement. If you are a GAME Elite Reward Card member you will be unaffected by the above quoted change in T&Cs. Elite members who pay £36 a year for the privilege also get 10 per cent, 4 per cent, 2 per cent reductions, on physical games, hardware and pre-owned purchases respectively. 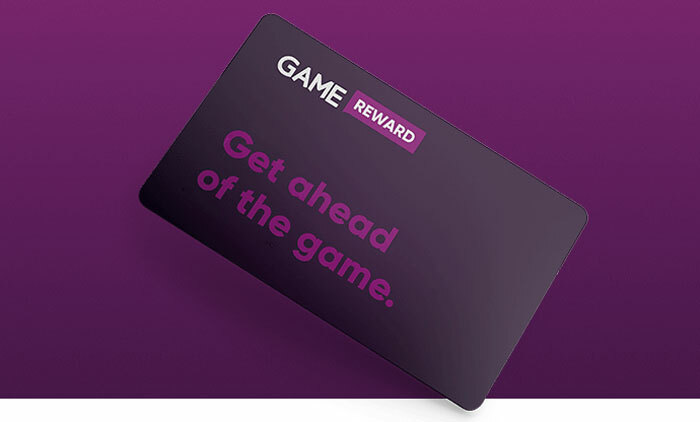 Reward cards are a waste of time imho, they could save infrastructure & maintenance costs and just reduce their prices for all… a tip from ASDA. Or just save a bunch and order online from Amazon, often a lot cheaper and know your paying less tax too! Loyalty points are actually there for market research - one of the few companies to actually be honest about it are Waitrose. If you're buying from game (especially pc stuff,) you're already getting mugged. Points or no points.